Learn one of the fastest growing summer activities in South Dakota! In partnership with the South Dakota Game Fish and Parks this Explore Bowfishing class in an interactive shooting program that introduces kids to a fast-paced, archery-based form of fishing. 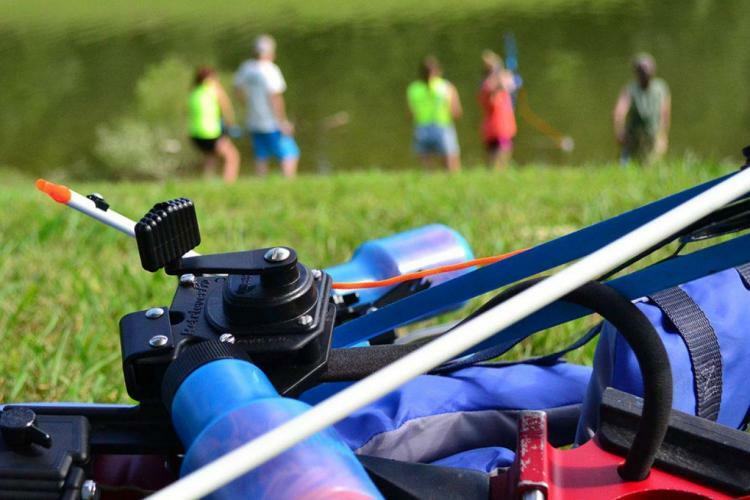 This class teaches bowfishing basics to anyone interested in learning how to bowfish, whether they are new to fishing and archery or well-seasoned anglers and archers. This class also provides a gateway to further engage people in hunting, shooting sports and the outdoors. Learn fundamental bowfishing skills on day one at the Archery Center and put them to the test on day two on public fishing areas in the community. There’s no better way to get started! This is an outdoor activity; appropriate attire is required along with a water bottle and a snack. Students are required to complete an introductory archery class at the NFAA Easton Yankton Archery Center prior to this course such as Explore Archery, TRY Archery or similar fundamentals of archery class.